Can a Better Shuttle Experience Improve CSI Scores? Here’s what we found. Customer Satisfaction Index (CSI) scores are simple. Dealerships give great customer service and in return, their CSI scores go up. Customers are satisfied, manufacturers are happy, and dealerships enjoy the increase in revenue. While it is a simple concept, the approach to achieving high CSI scores can be difficult. Consumer loyalty trends are changing, making it hard to keep up with customer demands. In particular, there’s one trend that is standing out amongst the rest: the customer experience. Cox Automotive released its 2018 Service Industry Study showing that customer satisfaction and loyalty in dealerships has dropped since 2015. 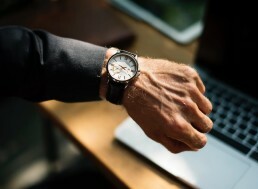 According to their research, over 70 percent of consumers who purchased from a dealership last year did not return for service. The survey highlighted that customers are motivated by convenience and pain free experiences, but in an evolving market like today, meeting these expectations can feel like an uphill battle. Cox’s study also revealed that focusing on the customer experience can make a difference. Over 50 percent of the consumers they surveyed would be willing to travel and pay more for a better service experience. Because of the common lack of customer focus, dealerships have a significant opportunity to stand out from their competition. By focusing less on selling and more on how the customer feels, dealerships can increase their margins organically. Quickride’s model of transparency, convenience, and accuracy gives customers the peace of mind that they desire when they service their car. Since using the app, the average Quickride customer has seen a 10 point increase in CSI scores. Additionally, 95 percent of Quickride riders say they are more likely to return to their dealership for service because of their shuttle service. As technology evolves, so will the expectations of customers. Dealerships can utilize the shuttle experience as a strategy to improve the overall service experience, and create more opportunities to increase customer satisfaction and bottom lines. 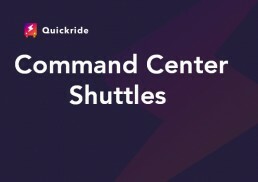 Quickride’s shuttle solution works – contact the Quickride team today to learn how we can help your dealership improve its customer experience.